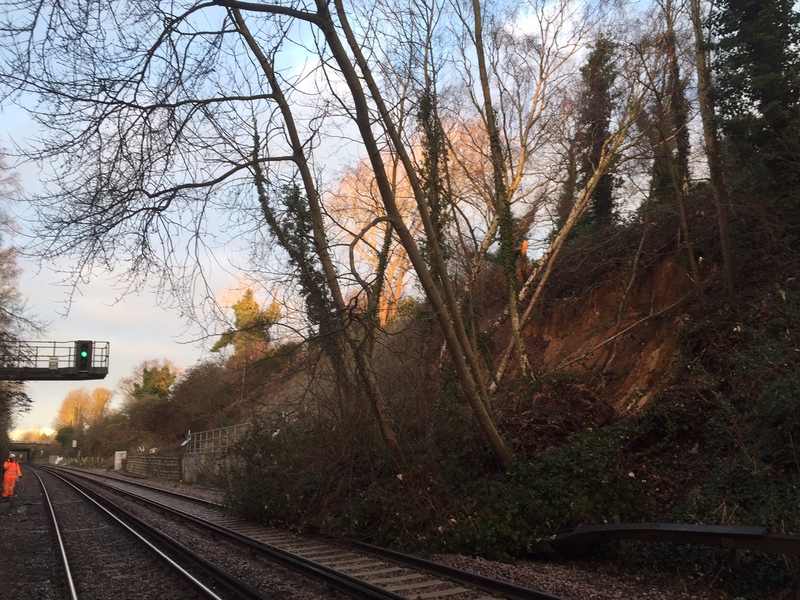 No trains will run all day on the Bexleyheath line after a landslip blocked tracks in both directions around Barnehurst. Pictures from Network Rail show an embankment sliding down onto the track. Tests will now be carried out to study land movement in the area. Severe disruption is occurring on other lines and road traffic is bad in many areas. There are reports buses are too full to pick up passengers in some areas. Southeastern state they will look to increase train length on the Woolwich and Sidcup lines though given Woolwich Dockyard and Charing Cross limits trains to 10 carriages it’s hard to see how much extra capacity can be laid on. The DLR between Lewisham, Greenwich and Woolwich”. As we know however, these options are often of little use to many given DLR and the tube barely scratches into south east London.